Reach out to us any time and we’ll be happy to answer any of your questions. 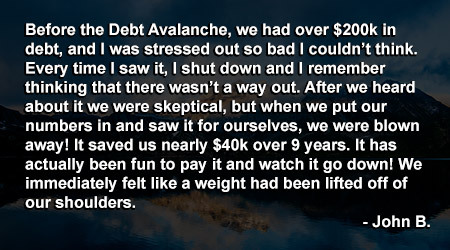 Debt Avalanche strives to provide the best service possible with every contact. We operate in an industry based on trust. This can only be achieved through communication and experienced support. We value your requests and are responsive to your questions.